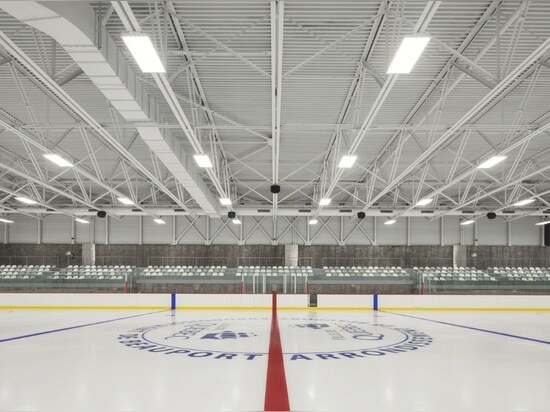 The Marc-Simoneau sports complex is a major sports facility in Quebec City designed by CCM2 + CLC architects. The project was divided into two phases: starting with a volumetry proposal that could host specific sports facilites, architects then focused on a shape that could become a flagship within the urban environment, day and night, for pedestrians and road traffic. 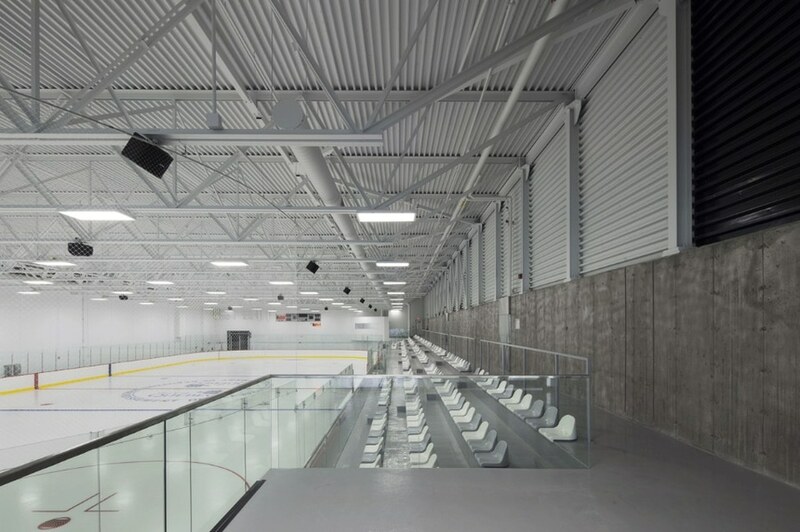 The building regroups under the same roof two skating rinks and a soccer field. 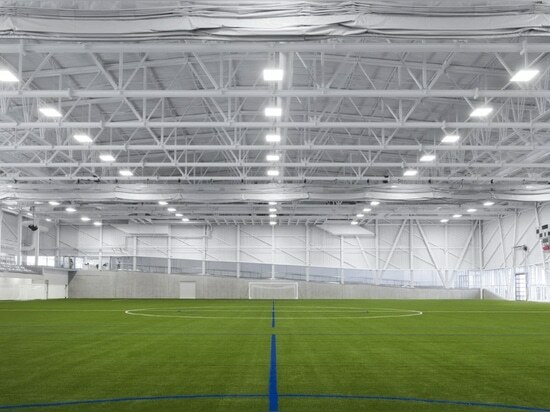 The site has been chosen by Quebec City in accordance with its potential, its localization, its corporative neighbors and existing exterior sports equipment (three eleven- player soccer fields, four seven-player soccer fields, an outdoor pool with water games). 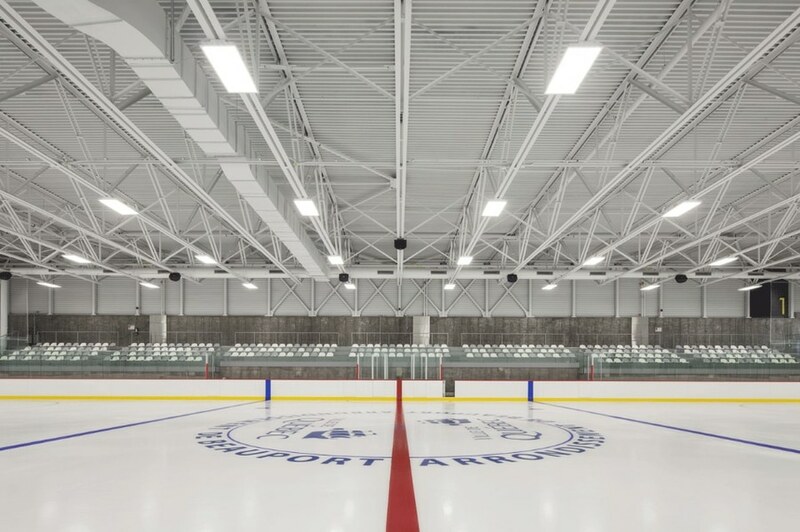 The distinctive volume of the main hall gives access to a multifunctional room that can host administrative offices, a restaurant area and the bleachers (over 300 seats per rink). 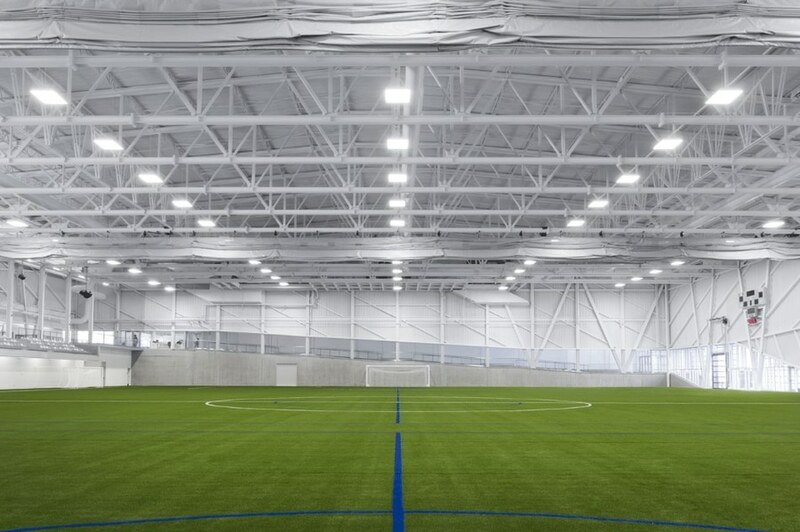 The soccer field space consists in an eleven-player soccer field, divisible in three seven-player soccer fields, 15 locker rooms, storage spaces, technical spaces such as mechanical and electrical rooms, the continuation of the lobby and 372 seats for spectators. 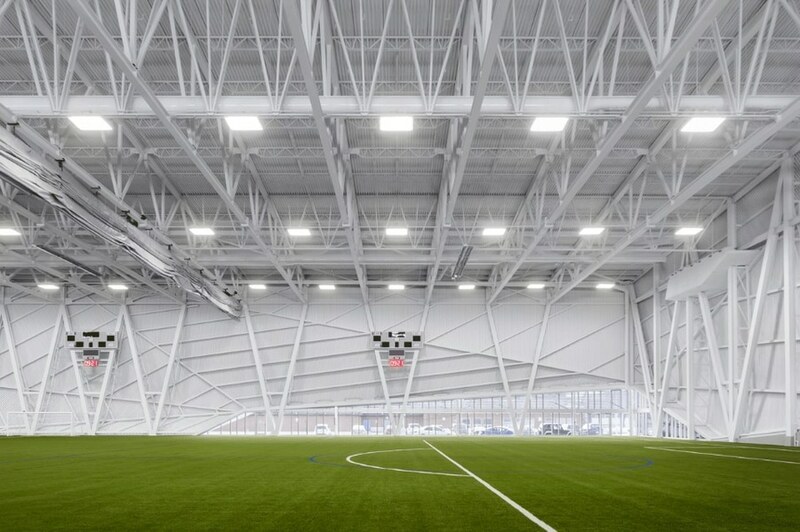 The volumetry of the soccer field and the continuation of the lobby is angular. 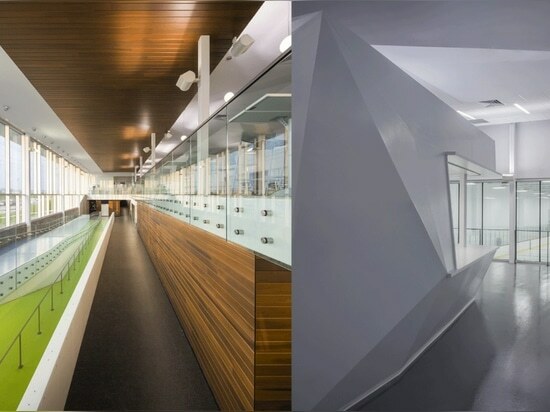 The concept refers to the physical phenomenon of glaciation and water crystallization. The shape refers to a broken-block glacier, reflecting sunlight like a frosted and clear ice fragment in a northern environment. 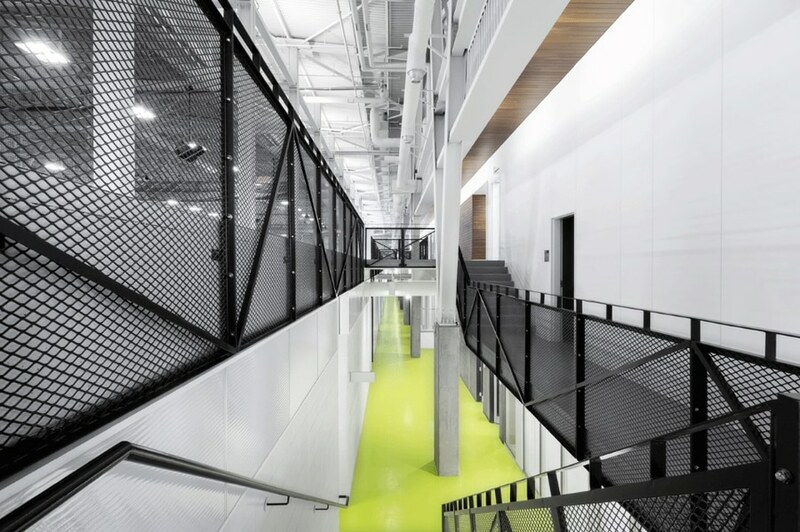 Natural light enters the hallway and lightens up the tiered seating section and public spaces. 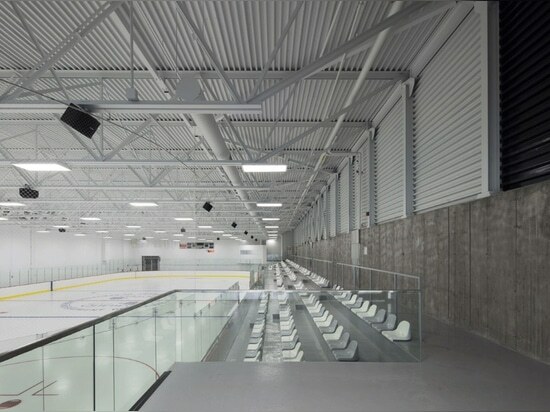 Floor openings allow natural light to reach the lower level, where are the locker rooms and soccer field access. 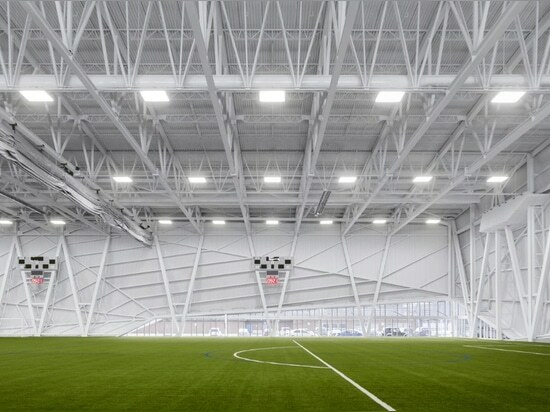 The space opens on the outside maximizing the view from the field and common spaces, while integrated “brise-soleil” allow solar control and minimize players’ dazzling. 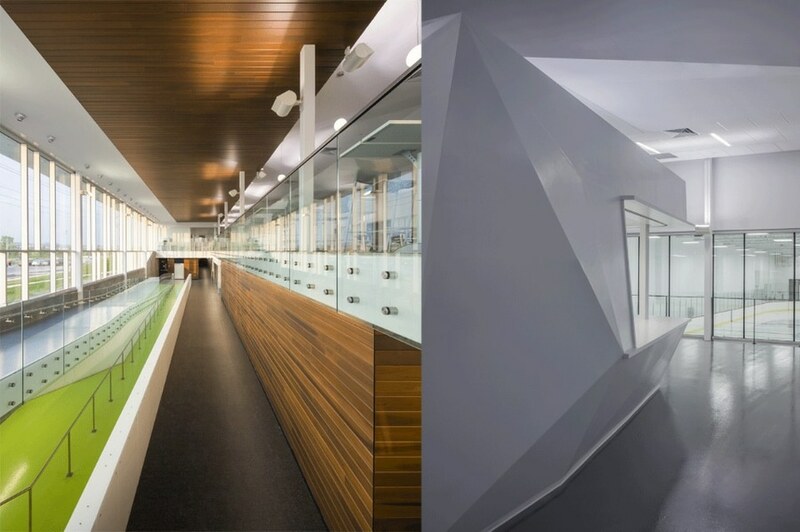 At night, the complex becomes a lantern: the lobby is entirely illuminated and the light reflects onto clear surfaces to show movement and shadows on the glass walls and outside ground. This way the complex is brought to life by its occupants, through the changing seasons and its many activities.